That little stuff, veterans argued in a media call, have made a big difference in ensuring VA facilities are property staffed, and it has changed how they access health care through the VA and pursue careers after service using education assistance. Rosendale goes on to say that while Trump has signed 19 of Tester’s bills into law, Tester has voted against Trump’s policies 75 percent of the time. That includes Trump’s nominee to the Supreme Court and tax reform, which Tester voted against, saying it would add nearly $1.5 trillion to the national deficit. “Montana needs a senator who stands with President Trump on the big stuff, and doesn’t brag about the little stuff,” Rosendale said. Rosendale spokesperson Shane Scanlon said Tester is proving Rosendale’s point. Veterans on Tuesday’s call took issue with Rosendale’s take on the so-called little stuff that’s key to their well being, and they suggested the current state auditor has a long history of voting against veterans issues. 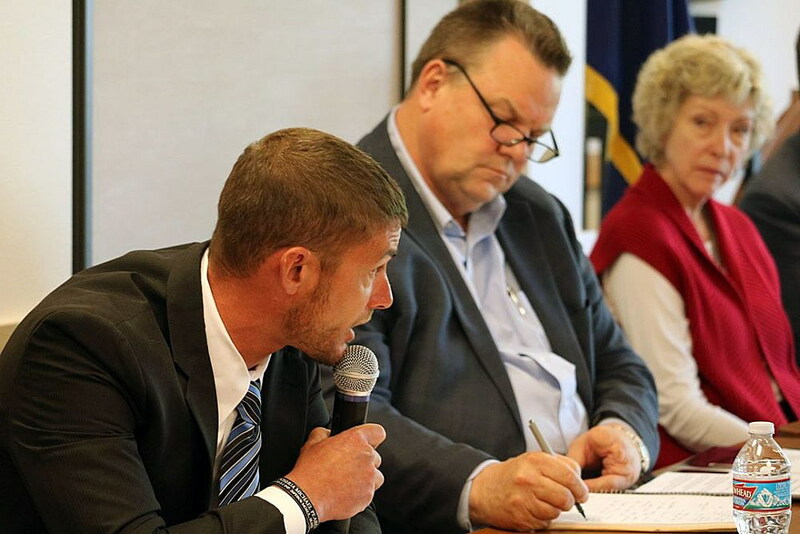 Mike Lawson, commander of the Southwest Montana Veterans Council, said that includes Rosendale’s vote against funding a veterans home in southwest Montana. Bernie Jacobs, a U.S. Army veteran who lives in Helena, said he benefits from living close to the VA Medical Center at Fort Harrison. But most Montana veterans don’t have the same luxury, and Tester’s legislation has helped simplify their care. The Choice Act was passed by Congress in 2014 to give veterans living far from a VA facility the option to receive care closer to home. But the legislation was flawed, and Tester addressed it by sponsoring the VA Mission Act. That came after a series of public hearings Tester held in Montana, including one in Missoula in May 2017. Jacobs said the legislative fix was fundamental to improvement the VA healthcare system. Tuesday’s press call coincided with a handful of rallies held in cities across the state, including Missoula. 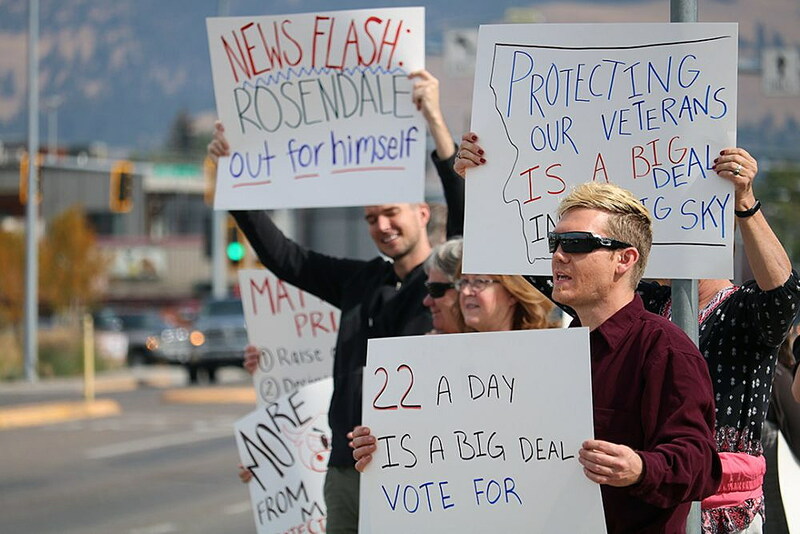 Standing outside the office of the Montana Republican Party on Brooks Street, several Montana veterans expressed concern over Rosendale’s history on VA issues. Alex Taft, a veteran, also attended Tuesday’s rally. As a regular to the VA clinic in Missoula, he’s seen the system improve under legislation carried by Tester.